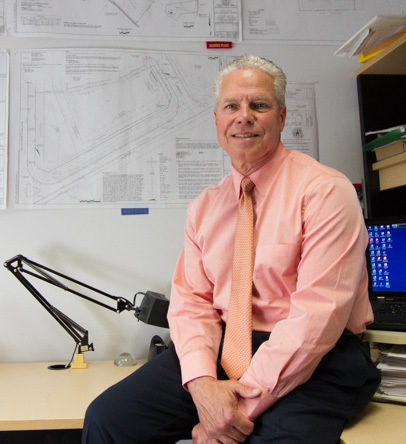 Jeff has more than 40 years’ experience in the Engineering and Surveying industry. He is a Registered Property Line Surveyor in Maryland and has extensive knowledge in Boundary and Topographic Surveying, Subdivision & Condominium Plats, Global Positioning Systems (GPS), Laser Scanning & Point Clouds, Construction Stakeout, FEMA Elevation Certificates & LOMA’s. Tens of Thousands of acres on Maryland’s Eastern Shore are preserved due to Jeff’s work with various conservation groups and government agencies. Jeff has managed Public and Private sector projects in West Virginia, Virginia, Washington D.C. and throughout the State of Maryland. Jeff severs on the Board of Directors of the Maryland Society of Surveyors, representing the Eastern Shore; Jeff is also past President of the Rotary Club of Cambridge and is the Immediate Past President of the Dorchester Chamber of Commerce. At Lane Engineering, LLC, Jeff is responsible for managing the survey department. Jeff is a resident of Cambridge, Maryland.